New Bedford is the highest-valued port in the nation, due largely to its scallop fishery. Despite the historical decline in the whaling industry in New Bedford, the over-abundance of scallops has given this city new life. Karen J. Covey, author of The Coastal Table, shared with us this delicious recipe that is rich in flavor and fresh from New England's coast. Karen notes; "when entertaining, I love to bake this dish in individual gratin dishes. 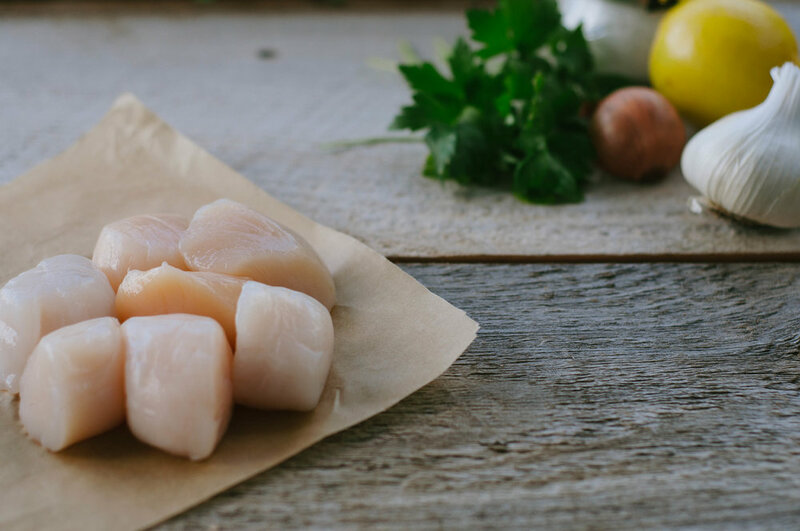 A simple breadcrumb mixture on top gives it great flavor and contrasts nicely with the scallops’ smooth texture." 'The Coastal Table' is a regional cookbook filled with recipes inspired by the freshest ingredients from New England's farmlands and the Southern New England coast. Enjoy the fresh produce of New Bedford with this coastal-inspired dish! Preheat oven to 425°F. Place 4 individual 6-inch round gratin dishes on a baking sheet and set aside. In a medium bowl, add butter, olive oil, garlic, shallot, parsley, and lemon zest, mix until combined, and season with salt and pepper. Place 1 tablespoon wine in bottom of each gratin dish. 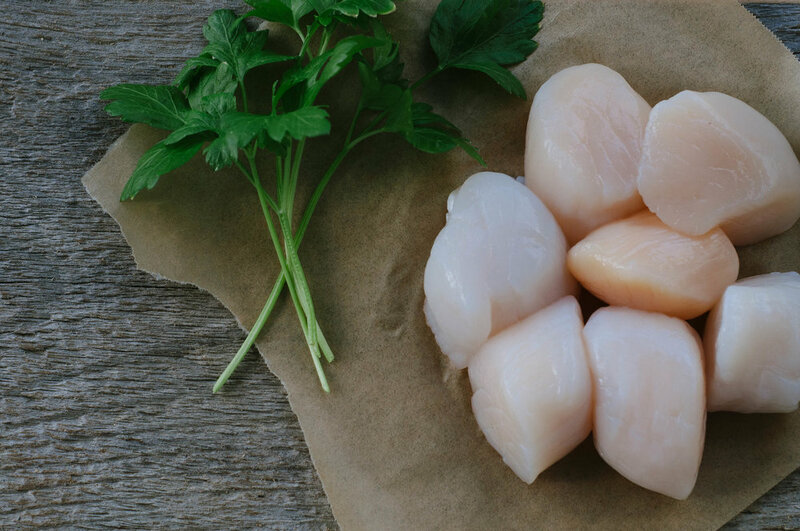 Remove any tough, crescent-shaped muscle from outside of scallops and discard. Pat scallops dry and place 5 scallops in each dish, grouping them together. Place a dollop of butter mixture on scallops. Scatter equal amounts of Parmigiano-Reggiano over each, followed by breadcrumbs. Drizzle additional oil over top of each dish and season with salt and pepper. Bake until breadcrumbs are lightly toasted, about 10 minutes. Finish under broiler for 1-2 minutes. Drizzle each gratin dish with lemon juice and a bit more parsley and serve warm. Serves 4.